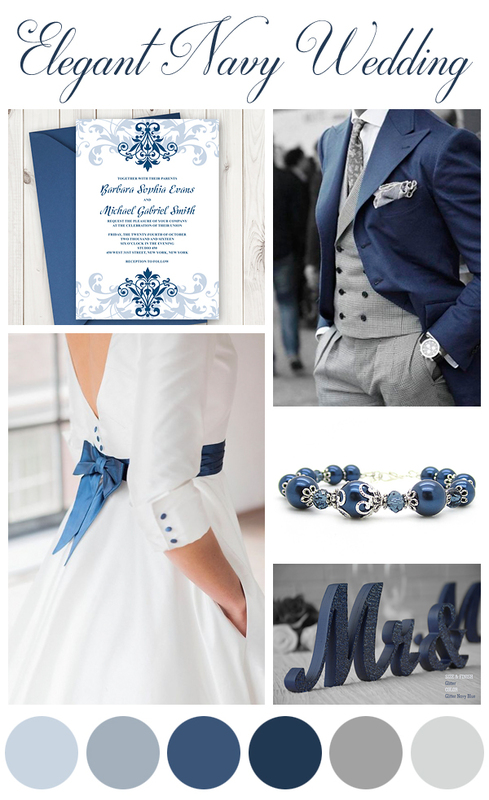 The navy blue color palette is the timeless evergreen for a formal wedding. Navy is an elegant alternative of the classic and more traditional black color. 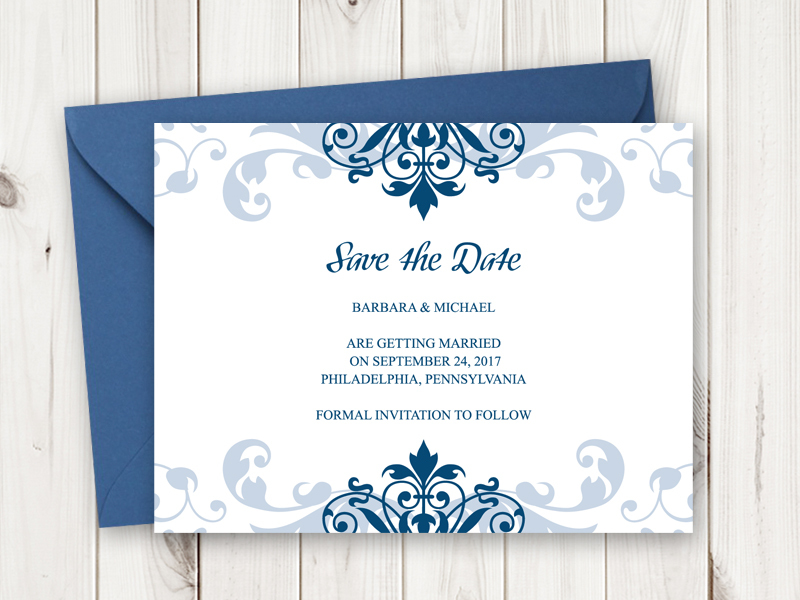 The navy blue ornaments and font give a nice contrast to the white background color as will the navy blue suit next to the white wedding dress. 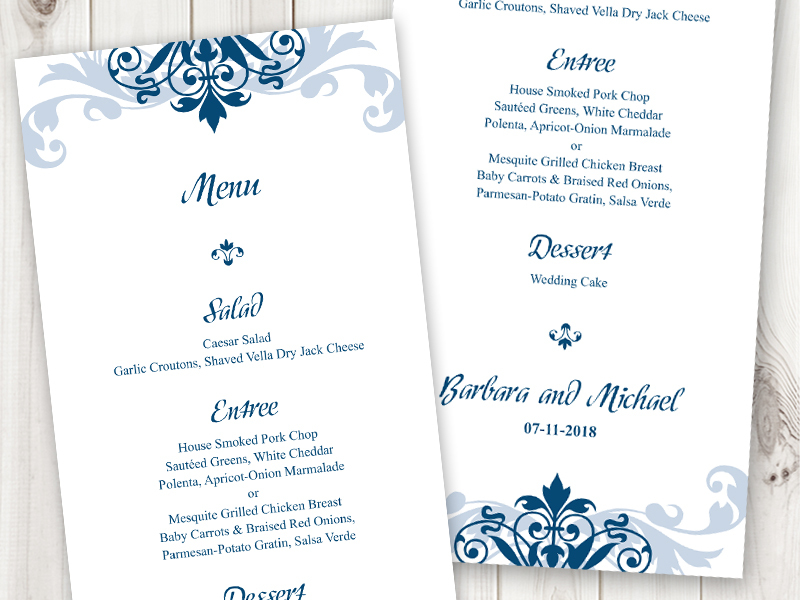 The wedding menu will compliment the rest of your table setting and overall feel of your elegant wedding day. You can also add place cards and table numbers, wedding signs, gift tags and thank you notes. 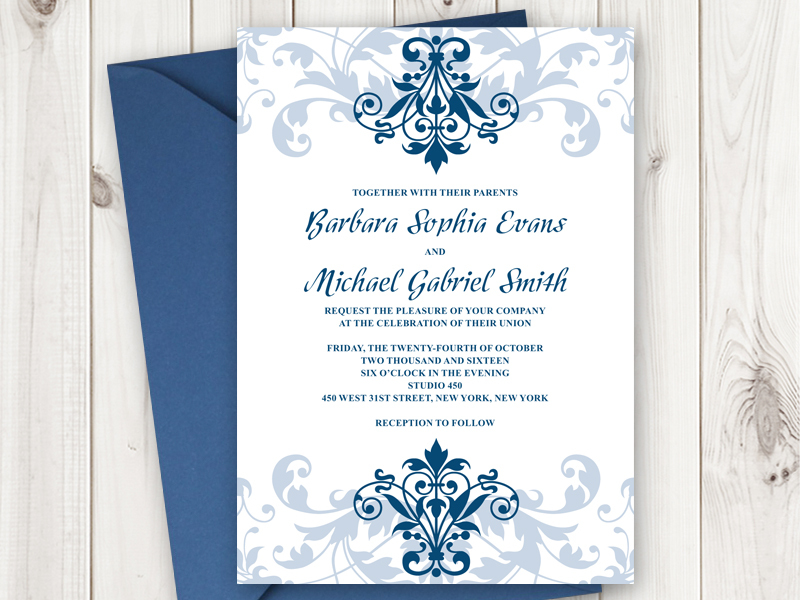 You can purchase the Elegant Ironwork templates from my Etsy shop – Shishko Templates. These cards look beautiful! Can’t wait to see how them printed! Love your work – very stylish and elegant! Love it! So elegant and classy! It is one of my favorite color and theme. I love your designs. Previous Previous post: What’s New?